Food was the only thing I like so much over there. All facilities and staff support. Clean, great service and beautiful location. Everything was sooo amazing i dont know what to say, it felt sooo great staying there. All the staff were great. Especially nayan, nabin, puja they madevus feel soo cozy and soo much like home. 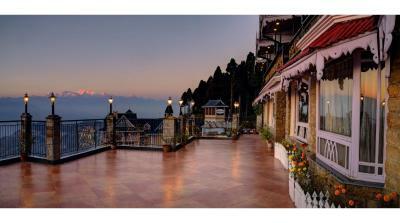 This is the best hotel in darjeeling. Excellent location so far I could see in darjiling. Breakfast was yumm! And the welcoming drink was goodtoo . The location and food was excellent. One can view the snow capped mountains right from the terrace. Beautiful view. Extremely nice service, by all staff, from Receptionist to Waiters. I am specially thankful to the Chef and the Room Attendant for preparing special food for my child's taste and serving food immediately at room. Eventhought the hotel is a bit far from the market and almost on the top on the hill is worth it cos the view is stunning if you like to see the top 3 Highest Mountain in the world this is the correct place and you don't have to book a trip to Tiger Hill cos you are almost at the "tiger hill" make yourself a hot tea which is complimentary go on the terrace and enjoy the sunrise 5:43am.The bed itself also wasn't bad at all the bathroom has a water heater so you have hot water all the time very nice polite staff a bit stressed but in a good way.Very nice Hakka noodles and not only very delicous meals. Overall the hotels is worth it a bit overpriced but still one of the best views to the mountains. The place was excellent. Moreover staff was very good and polite. Food was excellent. What else do you want on a stay! Spacious room and view from hotel as well as staffs behavior. Summit Grace Hotel & Spa This rating is a reflection of how the property compares to the industry standard when it comes to price, facilities and services available. It's based on a self-evaluation by the property. Use this rating to help choose your stay! One of our best sellers in Darjeeling! Offering panoramic views of the Singalila Range, Summit Grace Resort & Spa features cozy rooms with a TV and sofa seating area. This property has a restaurant and provides free Wi-Fi and parking. 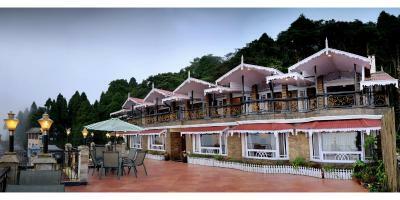 Grace Summit Resort is 2.5 mi from the City Center and 3.1 mi from Tea Garden. It is 4.3 mi from Sunset Point and 55 mi from New Jalpaiguri Railway Station. Fitted with elegant wooden interiors, rooms have plenty of natural sunlight. They are equipped with a fan, tea/coffee maker and private bathroom with a shower. Indulge in a massage at the spa, or make ticking and travel arrangements at the tour desk. For convenience, luggage storage services are available at the 24-hour front desk. The in-house restaurant serves a variety of local, Chinese and continental dishes. Room service is also available upon request. When would you like to stay at Summit Grace Hotel & Spa? Fitted with a fan, this room features a TV, sofa seating area and private bathroom. Darjeeling is a destination unlike any other. With its powerful energy and unmatched beauty, it is a location you have to see in person in order to experience its majesty. Just steps away from the hustle bustle of the Darjeeling town lies Summit Grace Hotel & Spa, with distinctive design, creating an ambience that is unique to travelers looking for ultimate pampering experience. Be swept away by romantic architecture, Italian design, exceptional luxury Spa facilities and impeccable service. The awe-inspiring view of the Kanchenjunga Mountains and the impressive bird’s eye view of the Darjeeling town from the Hotel, Summit Grace is a hidden treasure where you can experience the free- spirited atmosphere of this paradise. The 16 refined and updated deluxe rooms including 7 Suite rooms are replete with distinctive in-room comforts because we believe that a little indulgence is good for the soul. This is the land of the muscatel flavoured Darjeeling Tea revered by connoisseurs across the globe. This is the land of the world heritage Darjeeling Himalayan Railway where the century old miniature steam engine still chugs uphill vying for space with the fast disappearing Land Rovers. House Rules Summit Grace Hotel & Spa takes special requests – add in the next step! Summit Grace Hotel &amp; Spa accepts these cards and reserves the right to temporarily hold an amount prior to arrival. Summit Grace Hotel & Spa accepts these cards and reserves the right to temporarily hold an amount prior to arrival. Wooden flooring of suite needs to be repaired as it's very noisy while walking. I will never recommend this hotel to anyone. Our room was so cold and heater was also not enough. And room was not clean up to the expectations. Route to reach. Need to provide better directions for travellers. Everything is perfect no complains. Housekeeping should be daily as standard, even without guests requesting for it. Only skip housekeeping for a day if guests specifically put on "Do not disturb". There are no proper room heaters to enjoy the cold winter vacation stays. bathroom. Breakfast menu. Annoying guest of other rooms, who were making noise till late night. During my second day stay I didn't get fresh towel in my bathroom n when I requested fr it then they provide us only 1 towel instead of 2 for us. The hotel has no central heating so it is absolutely freezing there (we were there in winter). The restaurant had a huge menu but could only provide about 6 dishes overall. The breakfast spread was disappointing if you are wanting a western breakfast. The spa treatment was lovely, however the room was ice cold so we couldn’t enjoy it as much as we should have. Heater provided wasn't working and throwing cool air and basic bread-jam was very expensive.